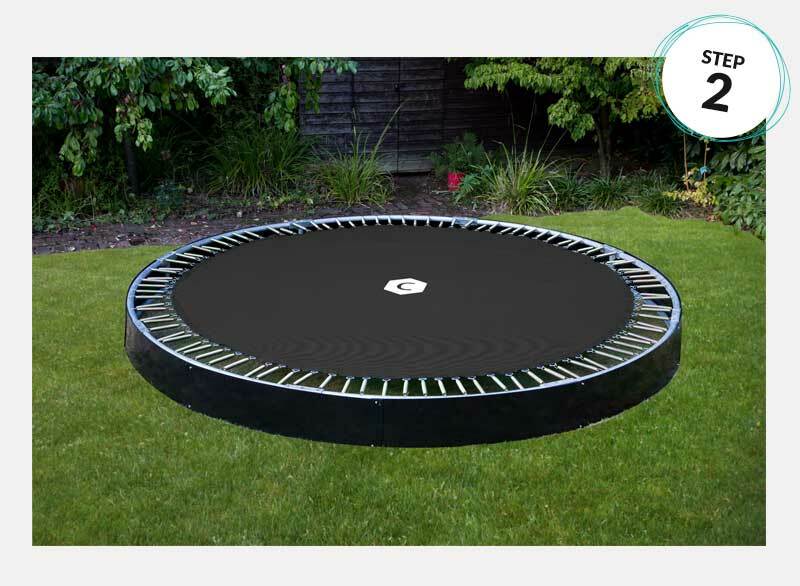 Capital In Ground Trampoline Kits have been designed for easy assembly and installation. Most of our customers do the assembly and installation themselves, or with the assistance of family and friends. If you don't fancy digging so much, many customers also use local gardening or landscape companies or just employ some local muscle to assist with the digging of the hole. Below is a simple guide to installation. 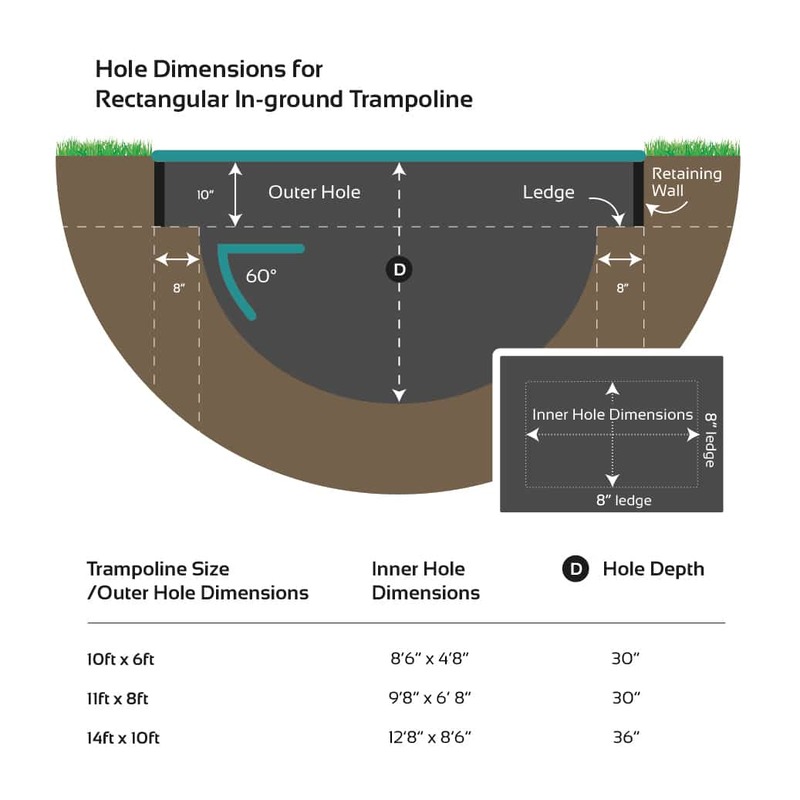 We take you step-by-step through the installation stages of a rectangular Capital In-ground Trampoline. This video is a "must watch" if you are about to install one of our trampolines in your garden. Our team are always on the end of the phone if you need a little help or advice. Mark out a hole that is a few inches wider in diameter than your trampoline. 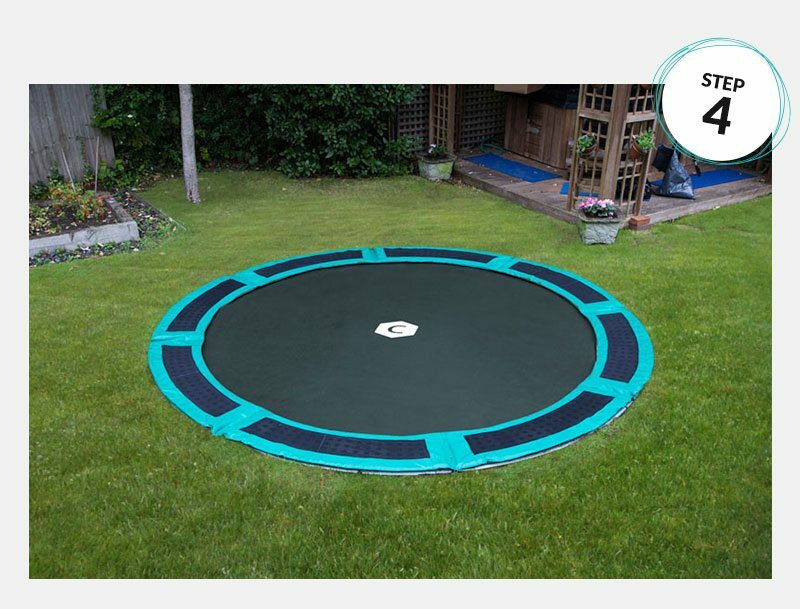 This is to give you a little extra room when you place the trampoline in the hole. 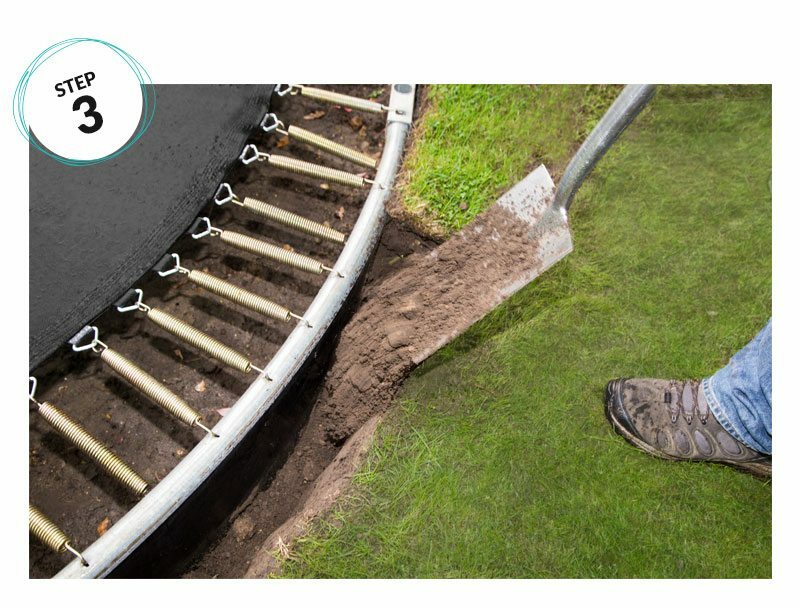 Dig out 10 inches of soil evenly across the entire hole. 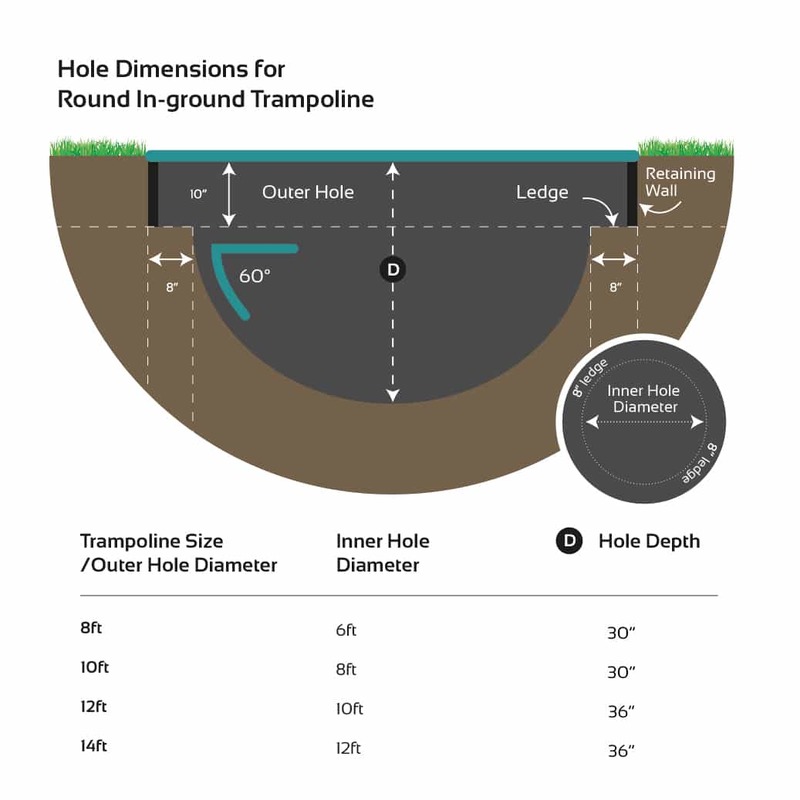 Then dig an inner hole in the middle that is 2ft or 24 inches less in diameter than the trampoline size in a bowl shape to a depth of 36 inches (about 3ft) for 12ft and 14ft trampolines and 30 inches (about 2ft 6 inches) for 8ft and 10ft trampolines. This will leave a ledge onto which the trampoline frame will sit. It's hard to be precise with the hole measurement - the extra few inches will make it easier for you. This extra space will be back-filled at the end. Keep some of your excavated top soil close by the hole for back filling. Assemble the top and bottom sections of the trampoline frame, attach mat and springs and fix the retaining wall to the outside of the frame. Attach springs at 12 o'clock position, then 6 o'clock followed by 3 o'clock and 9 o'clock first - this will give even tension and make it easier to fit the rest. 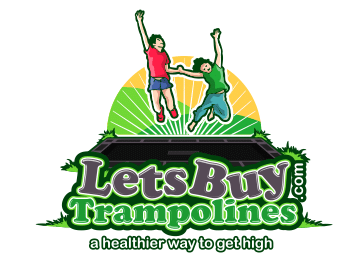 Lift the trampoline into the hole and place on the ledge ensuring the frame is at the correct height. Then back-fill in the gap on the outside of the frame, compact the soil and re-turf. Use the handle of your spade to compact the soil down as tight as possible when back-filling. Finally attach the TDU vented pads to the frame & you're ready to enjoy your In Ground Trampoline!